Overview: If you're the type of person where the perfect day means sitting on the tailgate and cracking a cold one after a cruisy day of long boarding, then Puamana Beach Park will be your favorite beach on Maui. The vibe here is always laidback with smiling locals out surfing before work—or sucking up beers right after. There isn't much of a beach to speak of (especially at high tide), but on the southern end it's usually wide enough to at least plop down a beach chair. The weather here at Puamana Beach Park is usually hot and sunny, and you'll find the best waves from April-October—now go and grab your board! Good For: Surfing, picnics, escaping the wind, taking a shower on the way to the airport once you've checked out of your hotel. 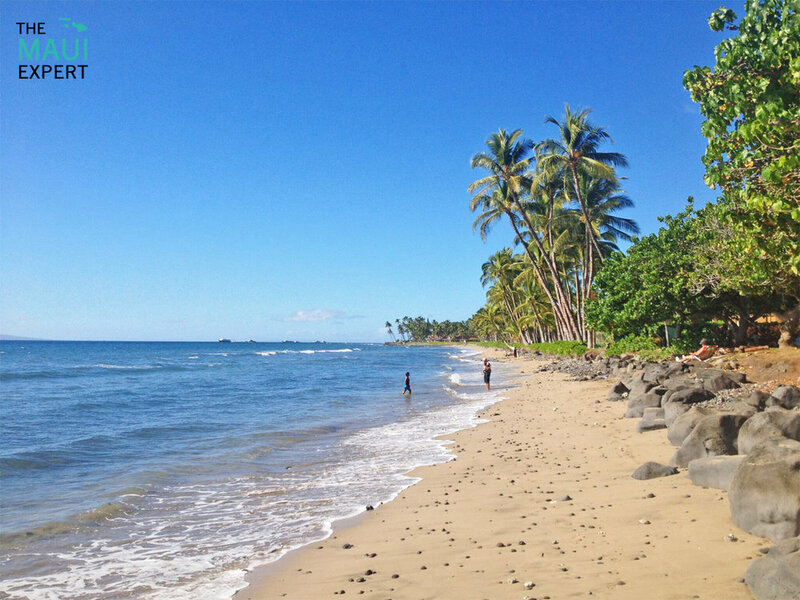 Maui Expert Tip For Puamana Beach Park: At low tide, you can walk north along a strip of sand that leads to a wider, sandy beach in front of the Puamana condos. The grassy area by the condos is private, but the sand itself is public property and it's a much better beach for swimming. Directions and Parking Situation: Puamana Beach Park is located right along the highway about a mile before Lahaina. The parking lot has about 12 spaces and overflow parking is out on the street.